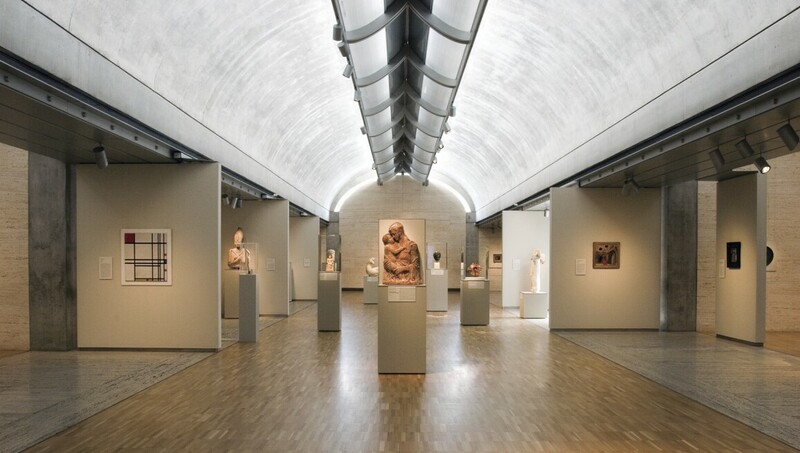 The Kimbell Art Foundation, which owns and operates the Museum, was established in 1936 by Kay and Velma Kimbell, together with Kay’s sister and her husband, Dr and Mrs Coleman Carter. The Kimbell's permanent collection is comprised of fewer than 350 works of art, but each at an extraordinary level of artistic quality and importance. Leaving to older and larger institutions the role of collecting broadly and in depth, the Kimbell has continued to pursue quality over quantity. Its holdings range from the third millennium B.C. to the mid-20th century and include major works by Duccio, Fra Angelico, Caravaggio, Poussin, Velázquez, Bernini, Rembrandt, Goya, Monet, Cézanne, Picasso, Mondrian, and Matisse. The collection comprises Asian and non-Western as well as European art, and extends only to the mid-20th century. gilt and lacquered wood, 543⁄8 in.